Training may be 80% of your success, but the remaining 20% comes from recovery and regeneration, and that includes sleep. The answer is Tempo runs. Now, I need to clarify what a tempo run is, as the middle distance and distance runners have their own terminology. 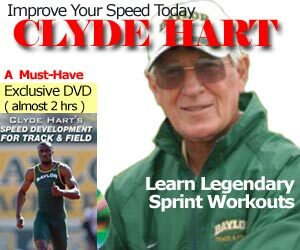 In the sprinter’s world, tempo runs are recovery runs that are sub-max to your max speed. Ideally, anything between 65-70% of speed is considered a tempo run. If you run a 100m in 10 seconds with a flying start (or 11 seconds with blocks, allowing 1 second for acceleration) then that tempo run speed is 14 or 15 seconds for 100 meters with a running start. Anything faster is medium intensity and you are not recovering from the previous day’s workout. All of our Tempo runs are done in training flats and on smooth grass surfaces. Same for 200m. If your PB is 23 seconds, or 22 seconds on the fly, then a tempo 200m is 32-34 seconds with a running start. If I prescribe 10x100m tempo runs, you can choose to walk back if you are really out of shape. You can also jog back 100m to where you started, then go again. Ultimately for fitness, you can just slow down, turn around, and run! These are called turnarounds or greyhounds. Note the recovery is less and less in each example. Adjust to your athlete’s fitness and aerobic capacity. The secret to track and field coaching is volume and intensity. Balancing the two is an art, which is why I hate copy-paste programs from books (or heaven forbid, the Internet). For tempo runs in a sprinter’s world, they key purpose is recovery with the hidden benefits of fitness and conditioning. There’s nothing wrong with this tempo workout, even peaking for championship meets. It’s better than sitting in the hotel room all day. 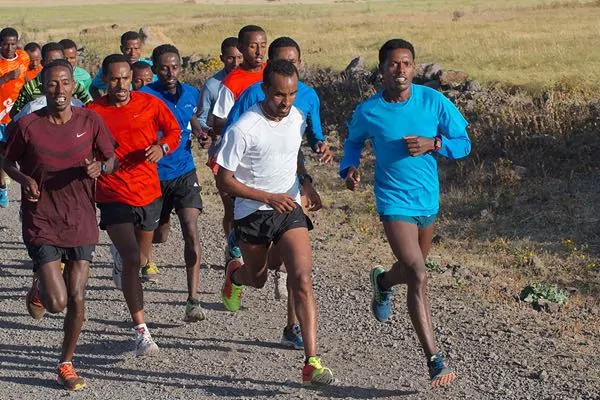 However, middle distance and long distance runners are more familiar with the terms “recovery runs, steady state runs, and tempo runs”. So I’ll clarify those three terms. Recovery Runs are generally 65-70% of your max heart rate, and the pace is considered slower than a marathon pace or ultra-marathon. The duration of a recovery run is about 15-30 minutes, before boredom sets in. These can even be done after a workout, preferably on a trail or soft grass field. You can even call this the cool-down. A Tempo Run would be 85-90% max heart rate, at a 10K to half-marathon pace. 15 to 30 minute is the ideal duration for these run and you definitely need to do a warm up beforehand. I would not call this an easy run! So the term “tempo” is much different for a sprinter than a distance runner. A sprinter’s tempo run is the same intensity as a distance runner’s recovery run. I hope this clarifies the terminology. Your numbers and intensity may vary slightly.